What’s new in TV this season? Worth checking out? Honestly, the pickings this fall are slimmer than last year’s bonanza of blackness. Both The Carmichael Show and Pitch have been canceled. Atlanta’s second season was delayed so creator and star Donald Glover could go be Lando Calrissian, and Insecure became the most celebrated and discussed show — of the summer. Empire, black-ish and ABC’s Shondaland lineup have been around long enough that they’ve morphed into reliable fall standards: This Is Us, though still young in television years, has clearly captured the country’s imagination — along with its appetite for Kleenex. And the OWN juggernaut and prestige drama Queen Sugar returns this week for the second half of its second season. We’ll finally get to see those episodes directed by Julie Dash! So what’s left? Allow me to walk you through the best of the rest. 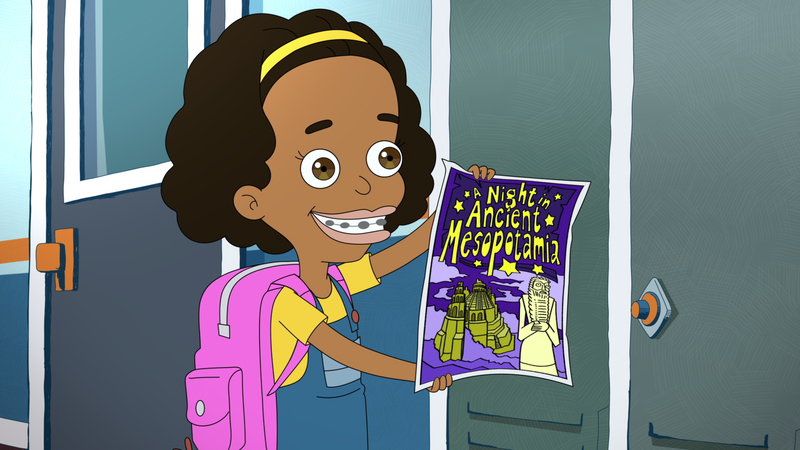 Netflix’s oddball animated show about puberty is currently streaming. It features Jordan Peele as the ghost of Duke Ellington (he lives in one of the character’s attics) and Maya Rudolph as a hormone monstress. Yes, she’s a hairy, horny, imaginary monstress who puts bad ideas in the head of a 12-year-old girl named Diane. Big Mouth follows the lives of a group of 12-year-olds navigating the hellacious road map of wet dreams, peer pressure, unfortunately timed boners, first periods and, yes, hormone monsters. Big Mouth also contains its share of meta TV and Hollywood jokes — there’s a shocking stinger about director Bryan Singer that I didn’t see coming — but mainly it really gets just how awkward, fraught, miserable — and, in hindsight, quite funny — puberty can be. It is not a show for 12-year-olds, but it is fun for anyone who felt like a mess as their hormones went bonkers for several years. If it feels like all of your favorite smart internet people are talking about The Good Place on Twitter, it’s because they are. The show stars Ted Danson as Michael, the architect of what he hopes will be The Worst Place in the Afterlife. 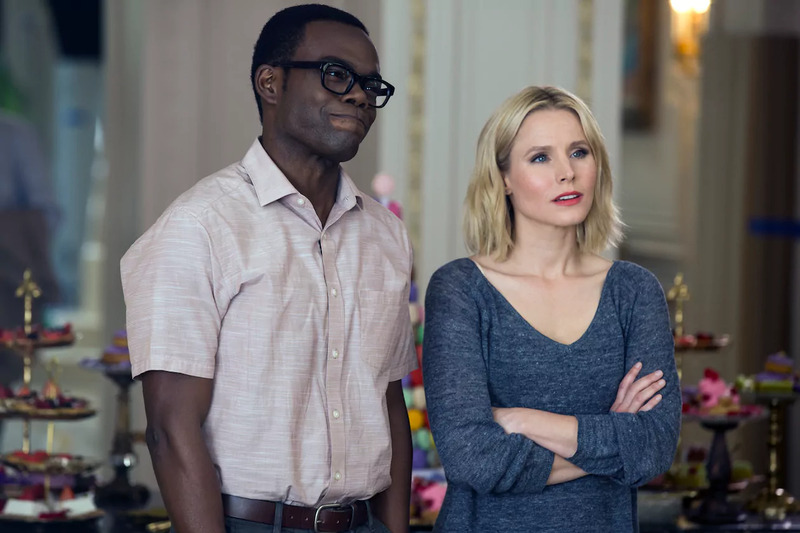 His grand plans for reinventing hell — or The Bad Place, as it’s known — keep getting upended by his wards, Eleanor Shellstrop (Kristen Bell), Chidi Anagonye (William Jackson Harper), Tahani Al-Jamil (Jameela Jamil) and Jason Mendoza (Manny Jacinto). Eleanor, Chidi, Tahani and Jason are all dead and have been sentenced to spend eternity in The Bad Place, though they don’t know it. They think they’re in The Good Place, although they all (except for Tahani) have a sneaking suspicion that they’re not supposed to be there. By the end of season one, Eleanor, Tahani, Chidi and Jason have figured out that they’re in The Bad Place and that Michael is using them to experiment with a new form of torture. Rather than subjecting folks to lakes of fire — you know, your run-of-the-mill hellish unpleasantries — he’s created an elaborate scheme of psychological torture and gaslighting, mostly by making an environment that’s supposedly perfect a bit of a drag. To Michael, hell is the suburbs. Now that we’re at season two, there’s just one problem with Michael’s scheme: Eleanor, Chidi, Jason and Tahani keep figuring out what he’s doing and Michael constantly has to erase their memories so he can start over with his experiment. Being middle management in hell is tough, man. Michael’s problems just keep compounding: Even though Eleanor and Chidi are deliberately mismatched as soul mates, Eleanor’s begun to fall for him anyway. Even Jason, the dumbest of the bunch, has independently figured out what Michael’s up to. There’s also a very helpful android named Janet (D’Arcy Carden). Every time Michael has to wipe the memories of Eleanor, Chidi, Tahani and Jason, he has to reboot Janet too. There’s a lot to like about The Good Place, from its critique of our conceptions of utopia to its interrogation of what it means to be truly “good” or “bad.” The show follows four characters who are kind of terrible, but not genocidal maniac terrible. They’re terrible in an everyday, narcissistic, common sort of way — and they’re capable of change. The Good Place also works in diversity in a way that doesn’t feel forced or like an afterthought, or as though it came from a network on a cookie-seeking mission. It just feels natural. Anagonye is one of the few African characters on television. (While both Issa Rae and Yvonne Orji are kids of African immigrants in real life, their ethnicity hasn’t come up in Insecure.) There’s such a dearth of characters who are Africans living in America, which is why I was disappointed to hear that HBO would not be developing the K’naan Warsame pilot Mogadishu, Minnesota. After garnering less-than-impressive ratings in its first season as an MTV comedy, Loosely Exactly Nicole, starring Nicole Byer, has moved to Facebook for its second season. Given the return of Curb Your Enthusiasm, there’s obviously still an audience for shows about people who are awful and also unaware of (or maybe simply don’t care about) their awfulness, and the comedy that ensues as a result. Byer is quietly daring in that the Nicole of Loosely Exactly Nicole is sexual, nervy and self-obsessed in a way that’s generally reserved for Beckys. Like Gabourey Sidibe’s Empire character (actually named Becky), Nicole hooks up with cute guys (white guys, at that). She’s not consumed with hatred of her body or her hair or her blackness, and she’s not an irritated government employee in the way that fat, dark-skinned black women often show up on television. I want to see success for Byer, for Yvette Nicole Brown, for Retta, for Amber Riley, for Leslie Jones and for all the funny black women who don’t necessarily look like Yara Shahidi or Tracee Ellis Ross but are still bawdy, dangerous and funny. What’s more, their youth and sexuality deserve acknowledgment, and I don’t just mean in the predatory, Leslie-Jones-is-obsessed-with-Colin-Jost sort of way either. That’s part of the reason that the summer show Claws was such a hit. In many ways, Niecy Nash is a precursor for a lot of these younger women. It’s taken years for her talents to be acknowledged, although playing Nurse Didi in Getting On may have been what it took for her to be taken seriously — she was nominated for Emmys twice for the role. Octavia Spencer is a terrific comic actress (see: Spencer as Harriet Tubman in Drunk History). There’s no doubt her career has blossomed since The Help, but I hate seeing her typecast as dowdy, matronly figures, and the more women like Byer insist on playing otherwise, the more that will hopefully change. 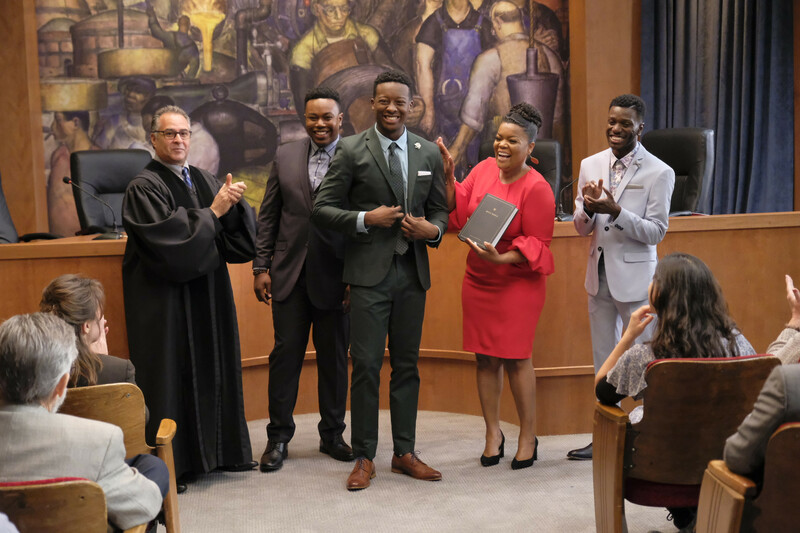 From creator Jeremy Bronson and executive producer Daveed Diggs, The Mayor (which debuts Tuesday on ABC) stars Brandon Micheal Hall as Courtney Rose, a rapper who just wants to get some shine — so he decides to run for mayor of his hometown of Fort Grey, California. And, as you might have guessed from the title, he wins. So now you’ve got a person with zero experience or qualifications, who really just wanted a bit more fame, in public service as the head of the executive branch of a city. I know — impossible to imagine something like that happening, right? The Mayor reminds me of the 2003 Chris Rock movie Head of State, in which Rock stars as alderman Mays Gilliam, who is engaged in a long-shot bid for president (mostly for the publicity) with Bernie Mac as his take-no-prisoners, blackity-black hype man and brother. Head of State found comedy in the process of running for office, and the movie ends just as the awesome, weighty reality of being president is falling on Gilliam’s shoulders. The premise of The Mayor is certainly interesting, but what I’ve seen so far doesn’t necessarily make me excited about where the show will go once Courtney has to actually start governing. It’s hard to avoid cynicism there, but maybe as the mayor, Courtney will grow into something a little more like Leslie Knope. Otherwise, there’s a scenario that’s so serious, there’s little to laugh at. Yvette Nicole Brown, who was such a treasure in Community, stars as Dina Rose, Courtney’s mother. It’s a bit of a waste to see Brown, who in real life is young and vivacious in the role of churchy, kinda sexless (though quite funny) mom. Which again, says something about the type of woman Hollywood sees as plausibly forkable. 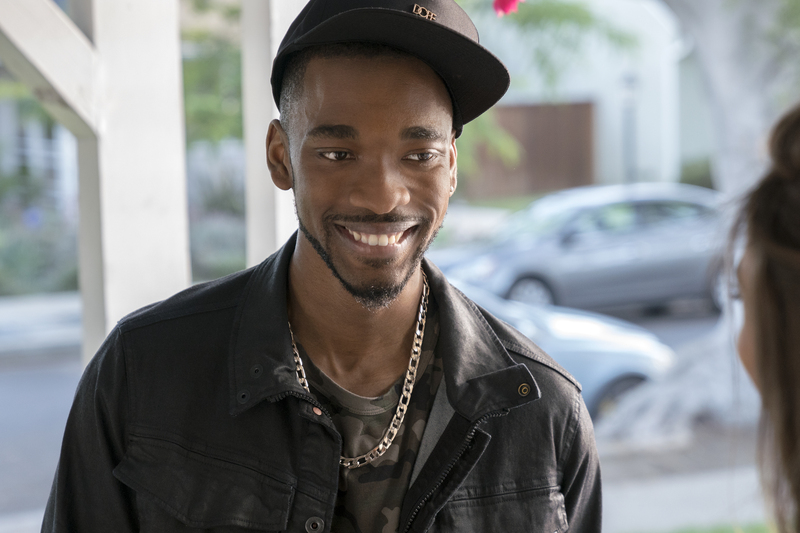 White Famous, the new comedy from creator Tom Kapinos starring former Saturday Night Live actor Jay Pharoah, joins the ranks of shows that expose, comment on and make fun of the artifice of Hollywood, such as BoJack Horseman, Episodes and Entourage. In terms of the callouts that raise eyebrows for torching real-life relationships, White Famous, which premieres Oct. 15 on Showtime, does not disappoint. Pharoah plays an up-and-coming comic named Floyd Mooney who’s a bona fide star with black people but still gets mistaken for a restaurant valet by white Hollywood producers. Within the first 15 minutes of the show, Pharaoh has already thrown two symbolic middle fingers at director, producer and vocal Bill Cosby critic Judd Apatow. It’s a tricky jump. Mooney has a meeting with the thinly veiled Apatow character named Jason Gold (Steve Zissis), who is directing a movie about an imaginary attorney who was the first woman Cosby assaulted. Gold wants Mooney to play the woman, a la Eddie Murphy or Tyler Perry. Mooney tells Gold that focusing solely on Cosby’s lechery is racist, although he makes the unfortunate misstep of downplaying the accusations against Cosby of drugging and sexual assault from more than 50 women. Despite its sexist deficiencies, White Famous is still engaging. It confronts race and success in Hollywood head-on, raising questions about when and why artists end up compromising their own principles.